The Aidata Footrest is ergonomically designed to help maintain correct posture and reduce strain and fatigue while sitting. An aluminum foot bar elevates the feet to reduce pressure on the legs, which improves circulation and eases stress on your neck and back. 360° rotating bar allows custom angle adjustment to keep your feet at the most comfortable angle while the free rotating motion itself promotes active feet to keep blood flowing. 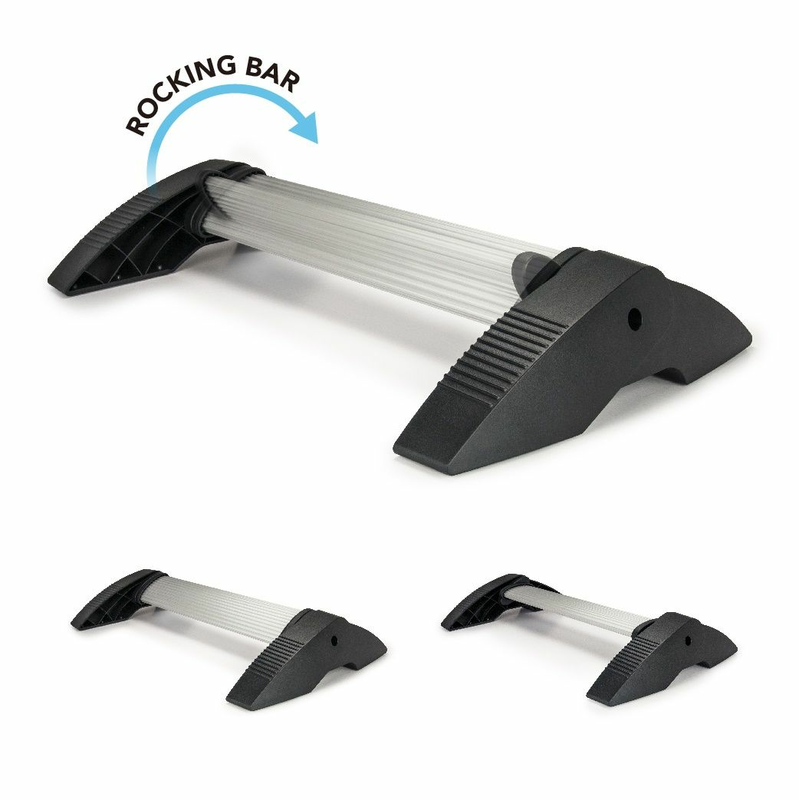 The aluminum foot bar is slim yet sturdy which allows feet to be rested against it during sitting or standing use. Rubber no-skid grips keep the entire footrest sturdy and in place during use. 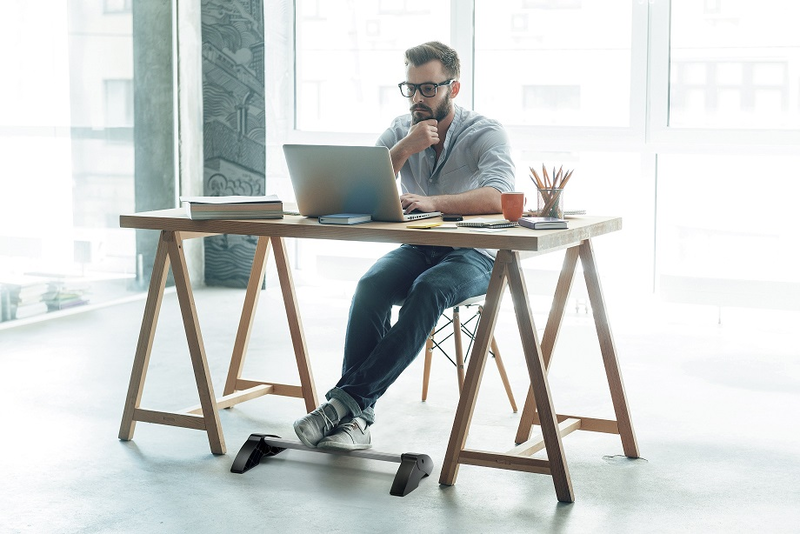 The Aidata footrest is the perfect accessory to keep your feet comfortably supported while reducing the risk of injury or other health issues caused by bad posture!